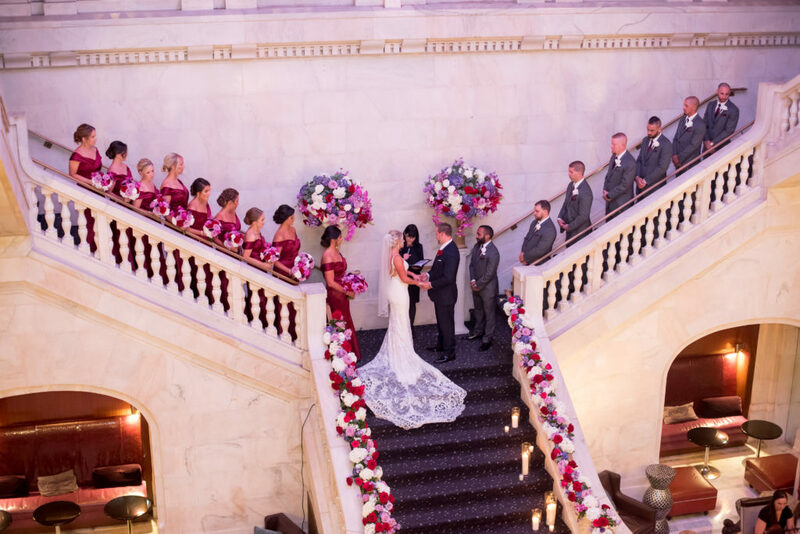 Jessica and Brandon’s wedding was nothing short of breathtaking. 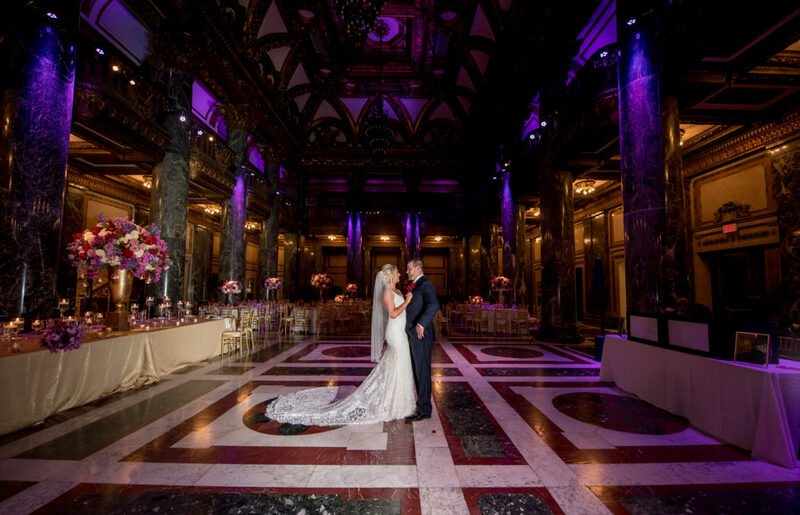 This couple was an absolute dream to work with and we loved every minute of helping them plan their perfect day. 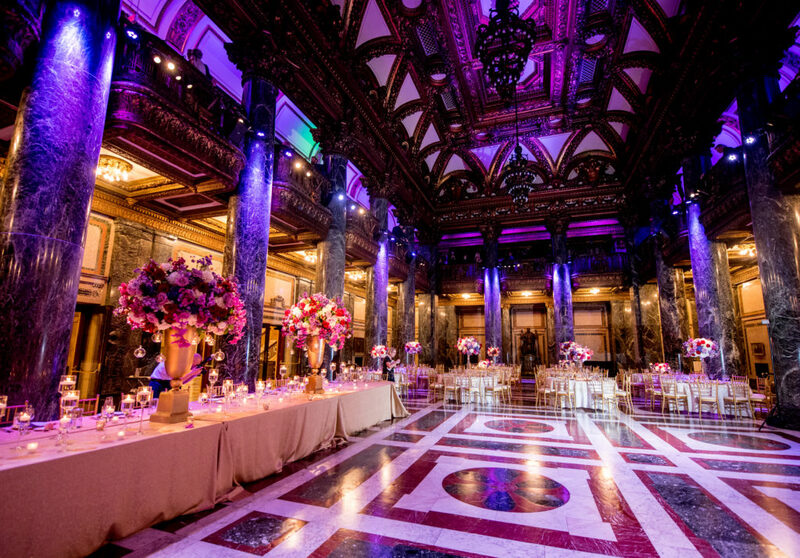 We were so excited when Jessica came to us with the idea of doing something bold in two historic Pittsburgh venues. 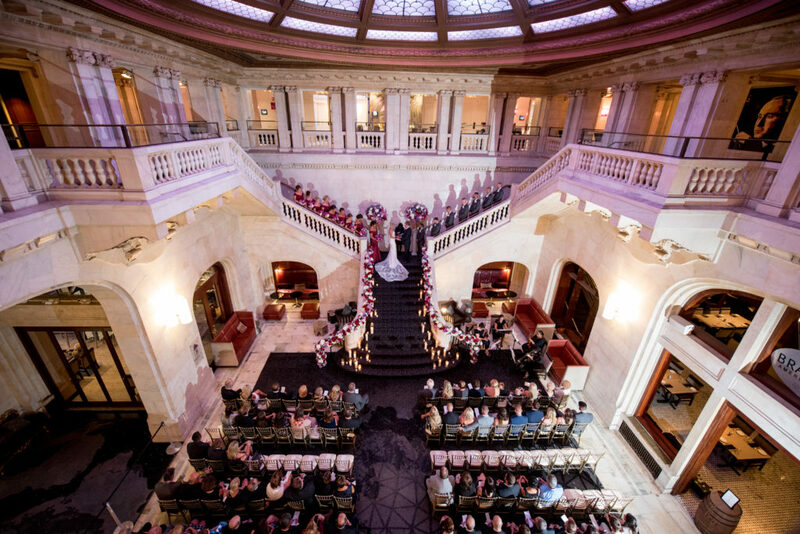 The ceremony was held on the grand staircase at the Renaissance Hotel in downtown Pittsburgh. 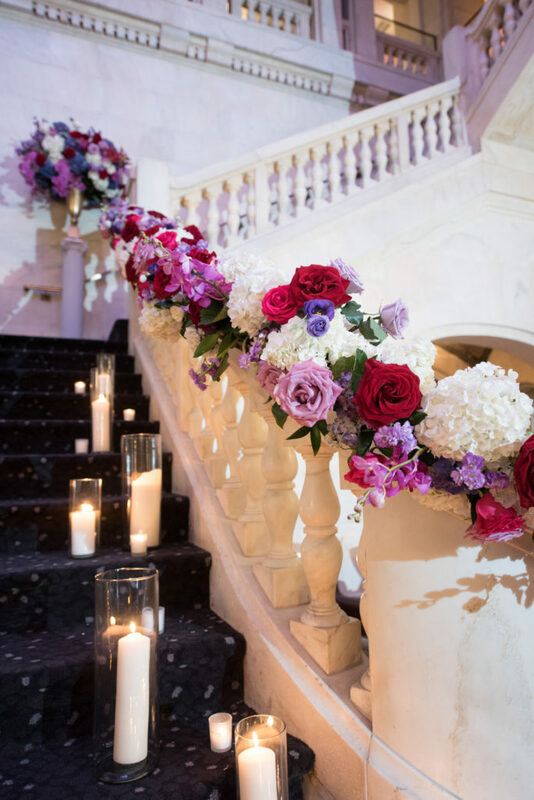 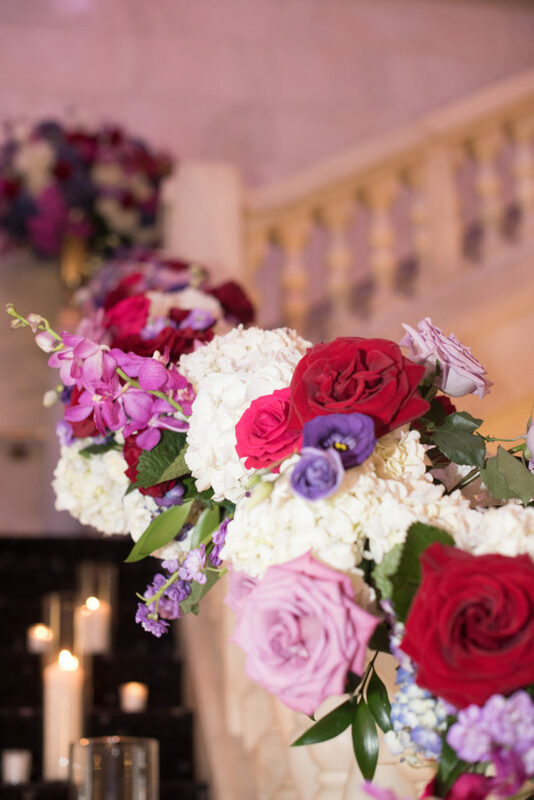 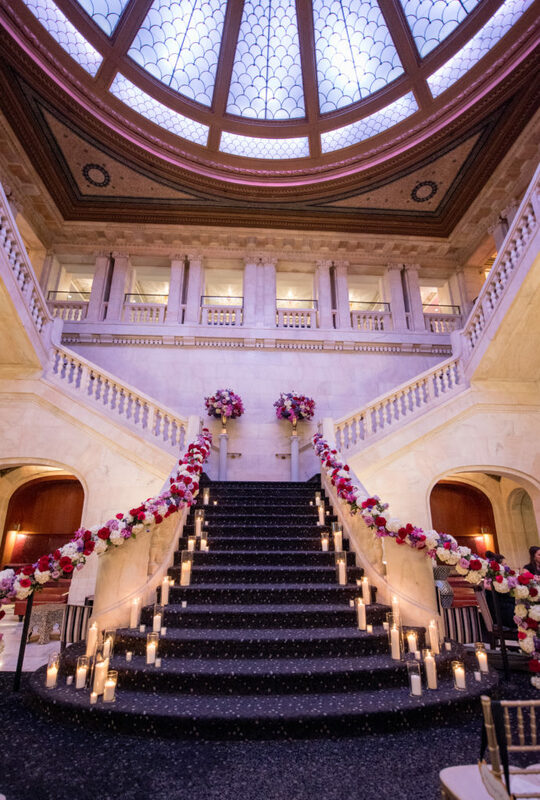 The staircase, complete with floral garlands and candles, was the perfect backdrop for a beautiful ceremony and made for some awesome photos! 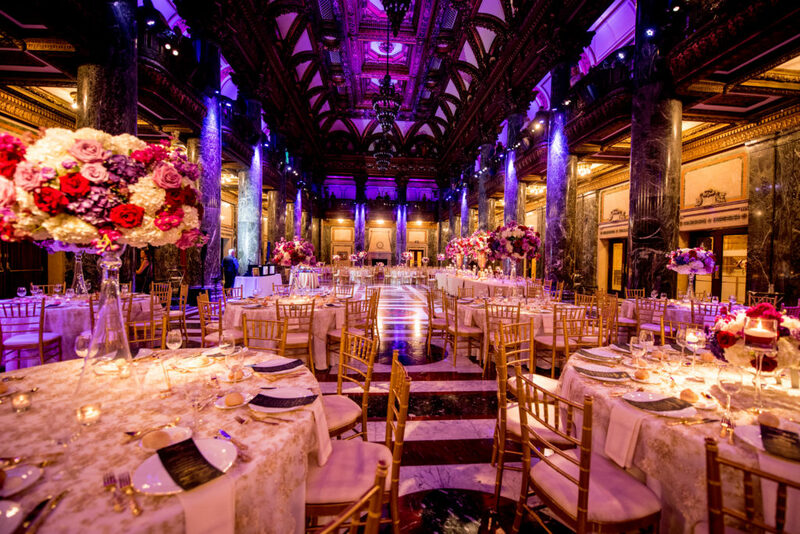 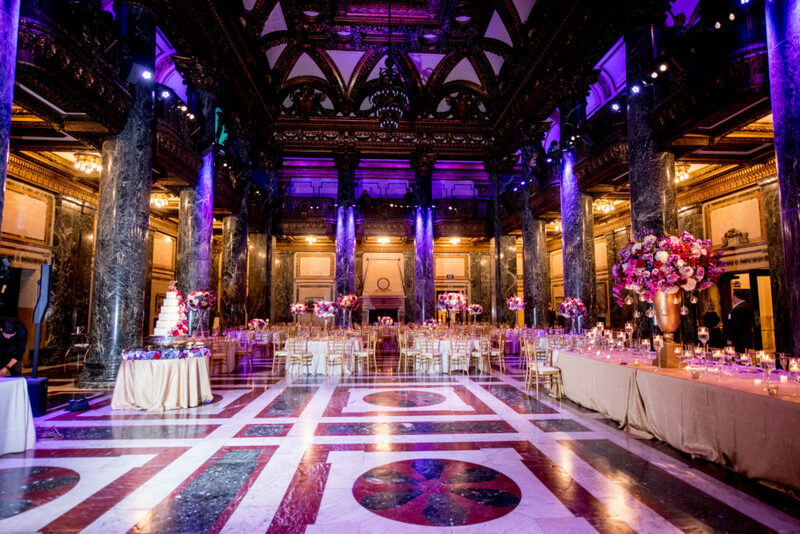 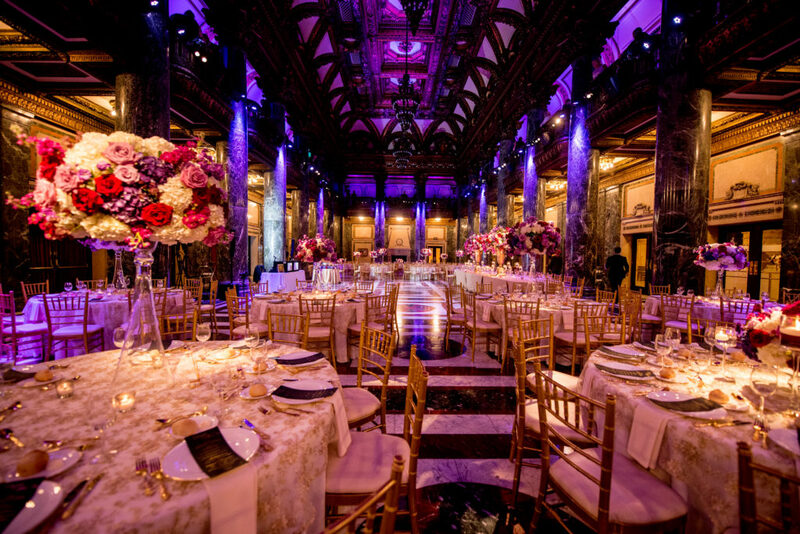 After the ceremony, the newlyweds and their guests headed over to Carnegie Music Hall for a reception to remember! 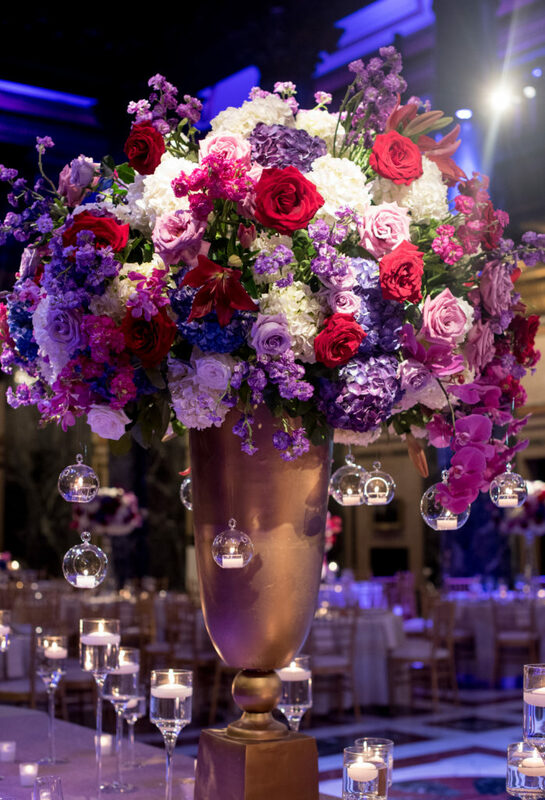 Jessica definitely wanted to go big and bold with all of her decor and we had a blast bringing her vision to life. 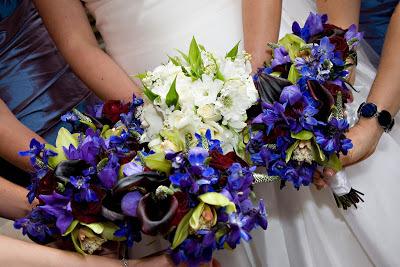 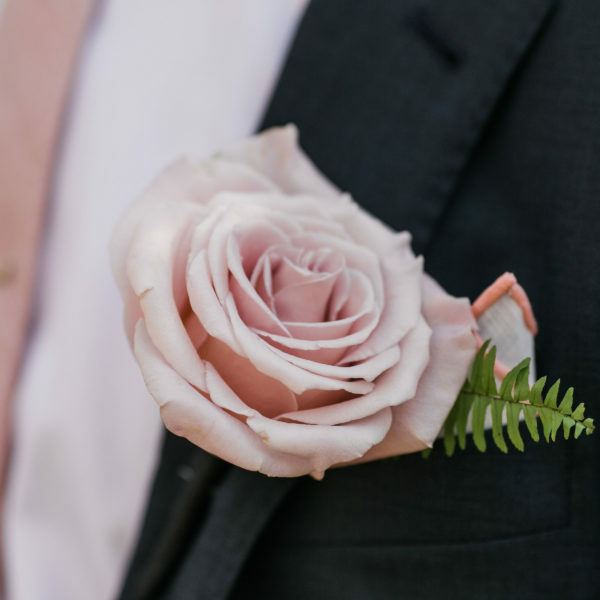 Take a peek below at some of the photos from SkySight Photography that Jessica actually sent over to us! 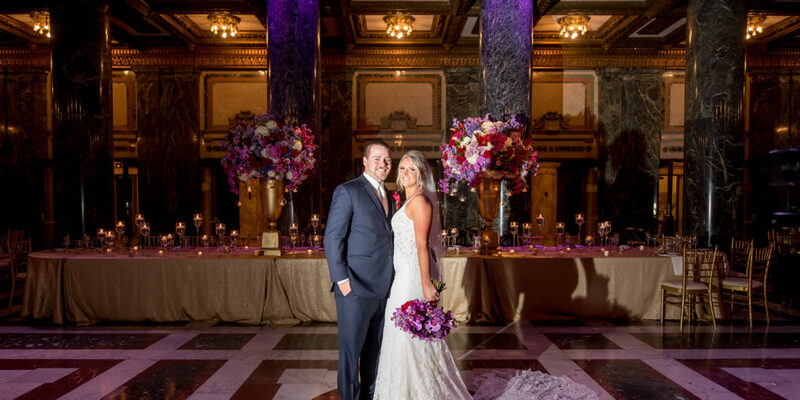 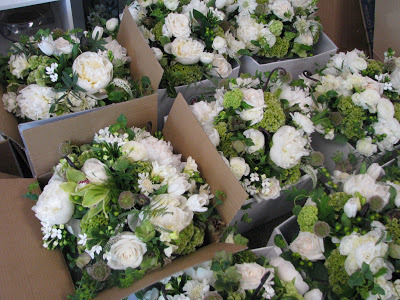 Thanks for allowing us to be a part of your special day, and we wish you a lifetime of happiness, Jessica and Brandon! 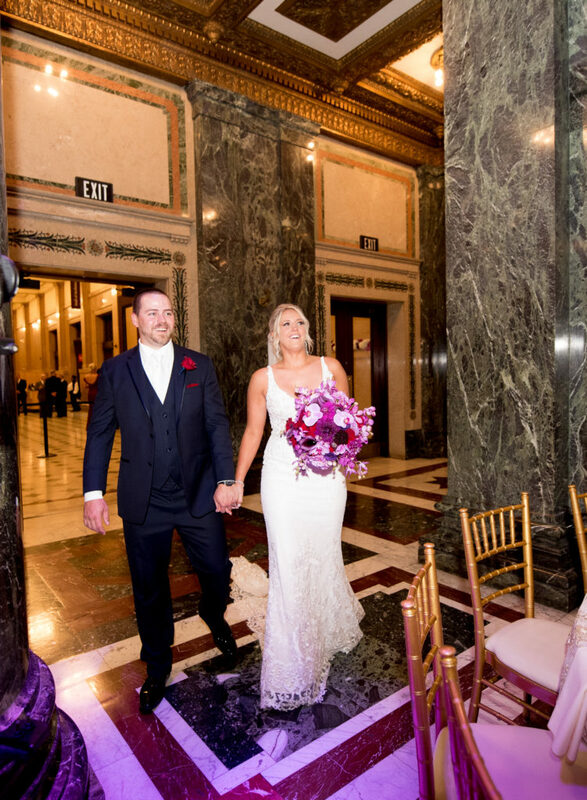 Moments like these are why we work so hard behind the scenes for our couples.We love being able to be there when the bride and groom see their reception space for the first time. 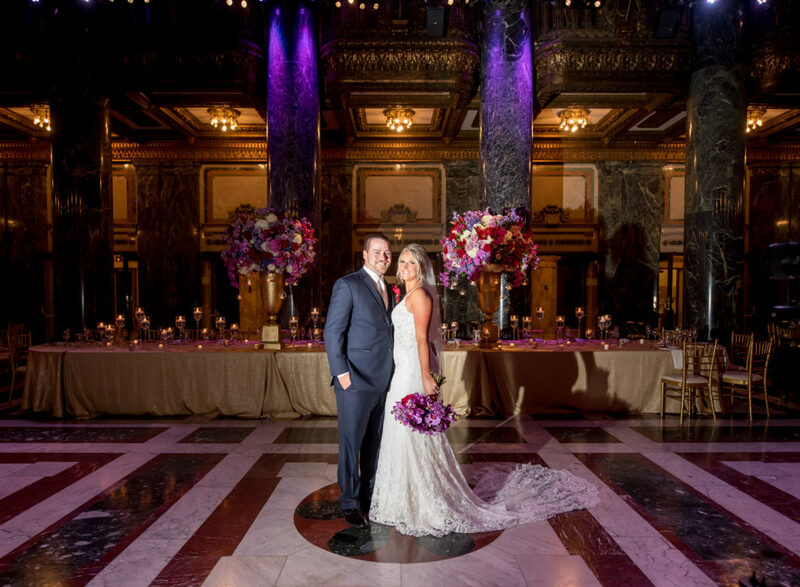 We think it’s safe to say that Jessica and Brandon absolutely loved everything! 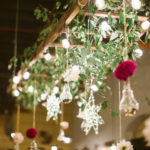 One of the best ways to really transform a space is with lighting! 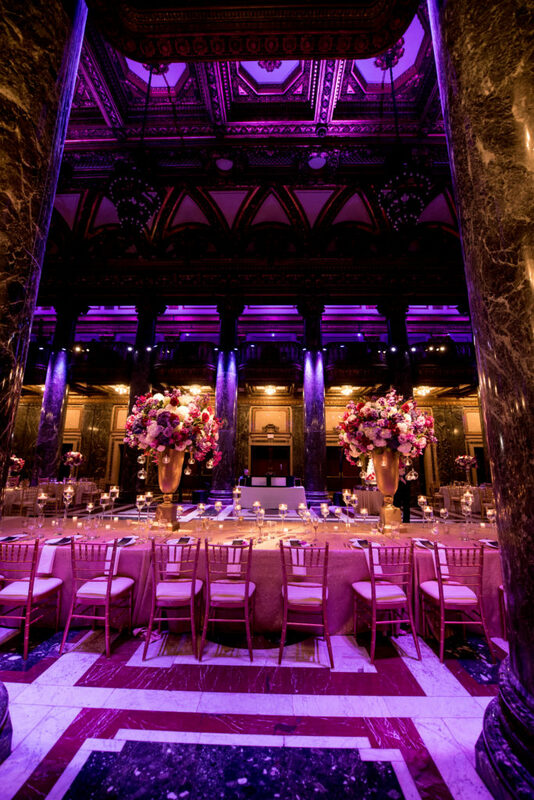 The jewel tone color palette really makes an extra impact with the coordinating up-lighting. 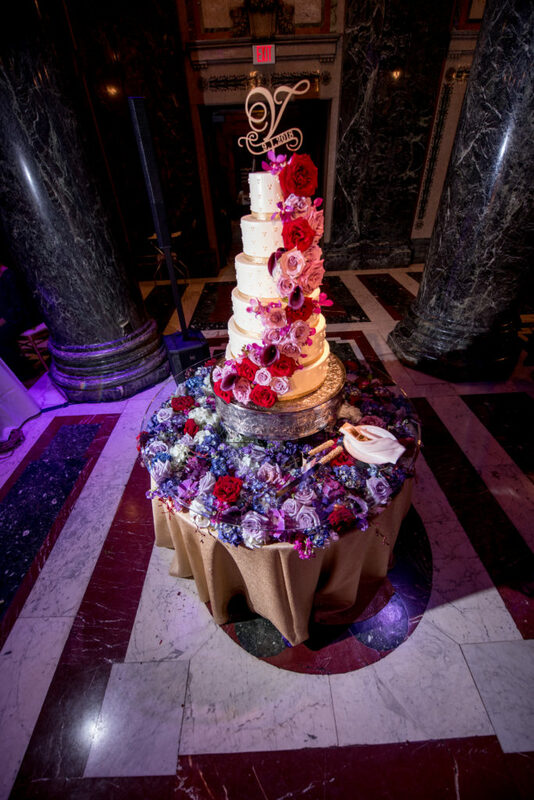 Each perfectly placed bloom accentuated this beautifully towering six tier cake design. 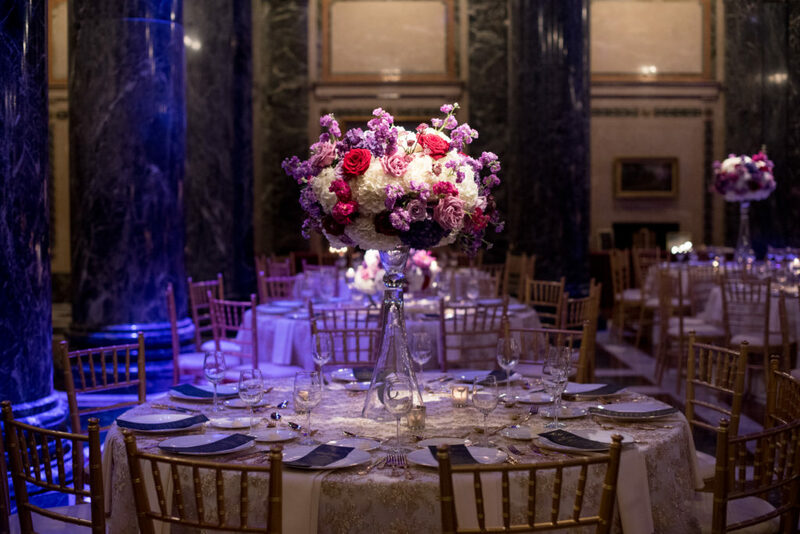 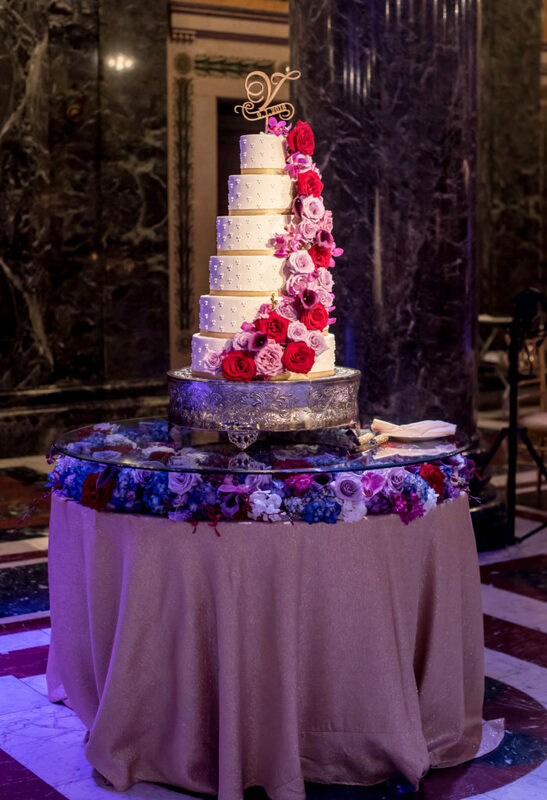 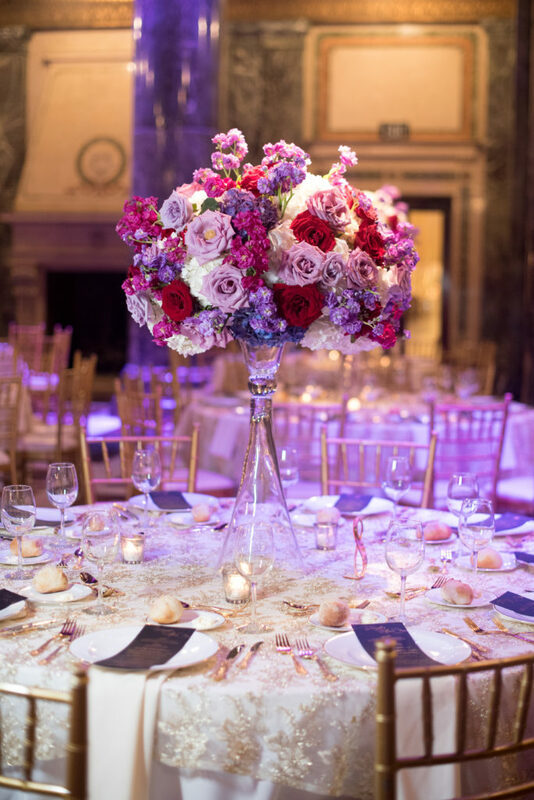 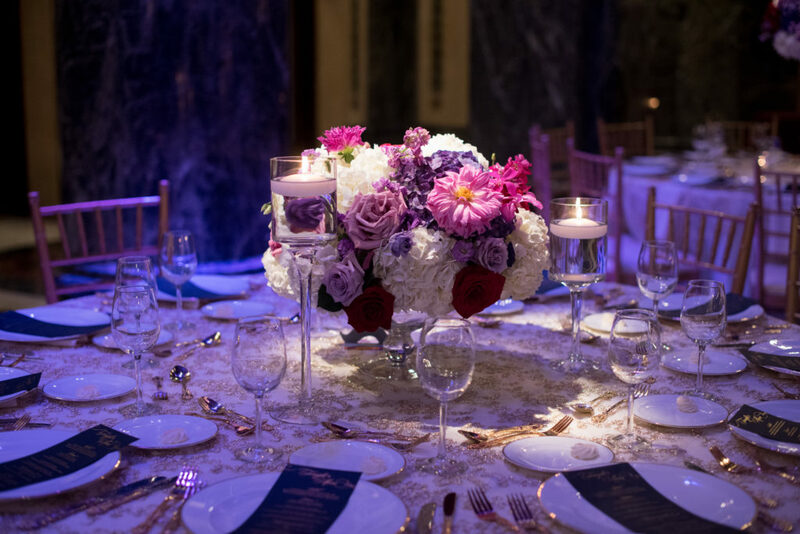 The cake was created by the talented pastry chef with the museum’s exclusive catering team, and looks stunning atop our custom made floral tabletop.